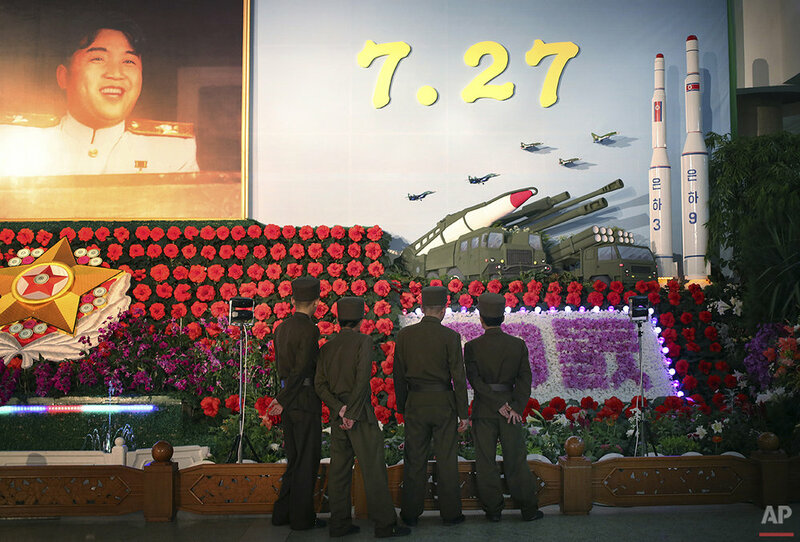 The Unha 3 rocket that launched the "Bright Star" satellite into space in 2012 is a symbol of North Korea's technological successes and a matter of great national pride. The country plans another launch to put Earth observation satellite into orbit this month. Although the equipment it will use is not yet known, the launch could also advance its military-use missile technology further. The Unha 3 rocket and other space iconography are among the propaganda displayed everywhere in North Korea to celebrate the nation's leaders and achievements. Models of the Unha 3 are displayed at a science museum and an exhibition hall in the capital. Playground swings are designed like the rocket, and performances at the Arirang Mass Games incorporate rocket imagery. Models are even part of the decor at flower shows honoring the nation's founder Kim Il Sung and his son, Kim Jong Il. Here are some photographs of the launches and the rocket and space imagery displayed in North Korea. 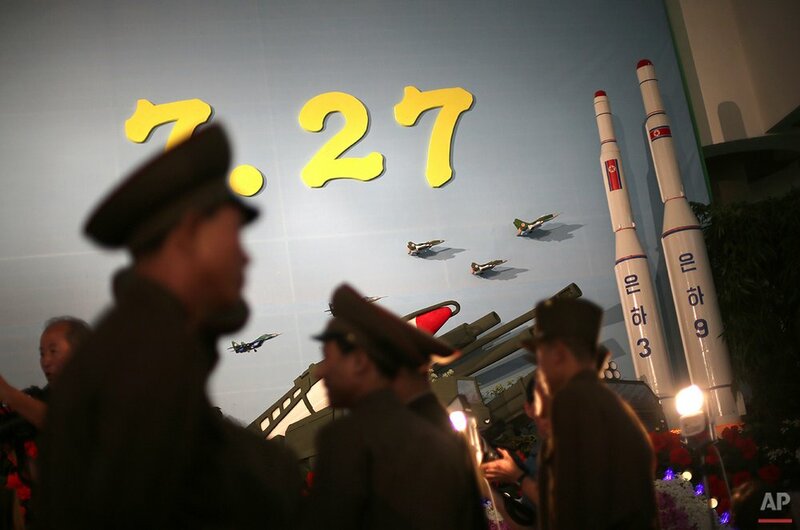 Text from the AP news story, AP Photos: Rocket models in North Korean propaganda displays.